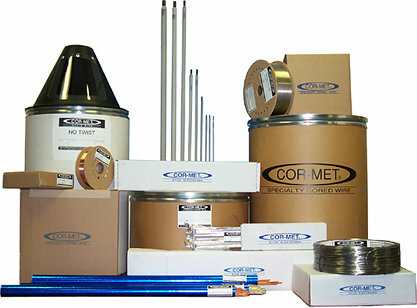 COR-MET manufactures a wide selection of sizes and alloys in cored welding wire. Sizes range from .035" to 3/16". The alloys are low alloy steels to nickel and cobalt base alloys. Alloys are available for resistance to high temperatures, corrosion and abrasion. 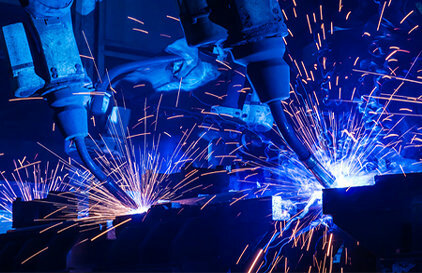 Wires are available to join, repair, and overlay tool steels, nickel base high alloy steels, cast iron and stainless steels. COR-MET also manufactures shielded metal arc welding electrodes. These complement many of the existing cored wires. Sizes available range from 3/32" to 20mm (3/4"+). COR-MET processes a complete selection of solid TOOL STEEL wires and alloy steel wires that are used for TIG and MIG when the application demands a high quality wrought filler material. Delivery for a non-stock standard item is typically two weeks or less from COR-MET. If the request is for a slight variation from a standard product, the delivery will take 2-3 weeks. We have the ability to make special alloys and sizes as requested. These variations may be generated internally or from the user or distributor. Let us keep you informed with the latest product news and upcoming events.